"Some of the most eerily effective electroacoustic music I've heard." This recording features six works by the Alaskan composer Matthew Burtner written between 1996 and 1998. The pieces fuse recent developments in music technology with aesthetic principles inspired by natural sonic environments. Primitive musical sources such as stones are juxtaposed with instrumental writing influenced by techniques of digital audio synthesis. Computer generated sounds are inspired by the compelling expressiveness of natural materials, further melding ancient and newly forged elements in a unique and harmonious sound world. 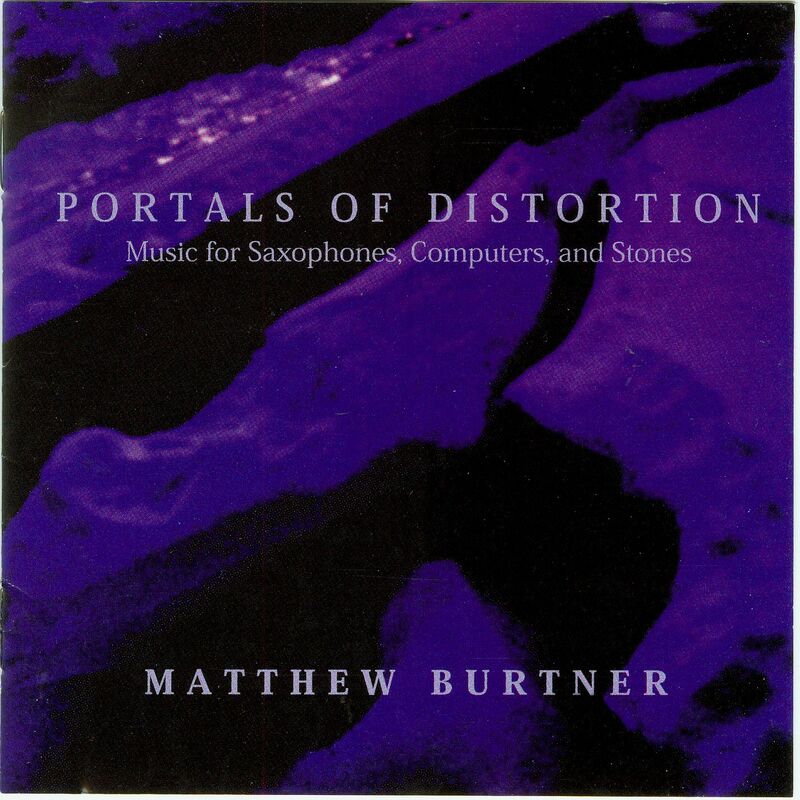 Included on this recording are the works "Split Voices" for amplified saxophone (tenor/soprano) and computer-generated tape, "Mists" for computer noise controller and stone trio, "Incantation S4" for amplified tenor saxophone and computer-generated tape, "Fern" for computer-generated tape, "Glass Phase" for polyrhythmicon / electronics, and the title track, "Portals of Distortion" for nine tenor saxophones. In Burtner's work imagination and environment merge to create music that conveys a strong organic sense, music whose properties are as diverse and dynamic as the stark Alaskan wilderness where the composer spent his youth. "This innovative CD makes a valuable and unique contribution to the existing repertoire of electroacoustic music."